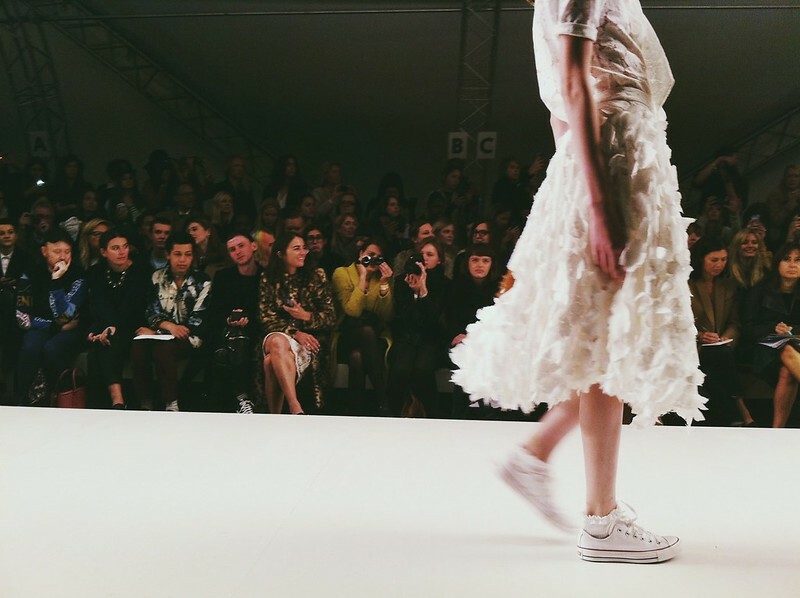 Since its inception in 2000, Fashion East has been championing and nurturing emerging British designers. Each season, a seasoned panel selects three womenswear and three menswear designers to present their collection to international press and buyers during London Fashion Week. Lulu Kennedy, as the driving force and pioneer behind Fashion East, also offers these young designers mentoring and in-house PR throughout the season. 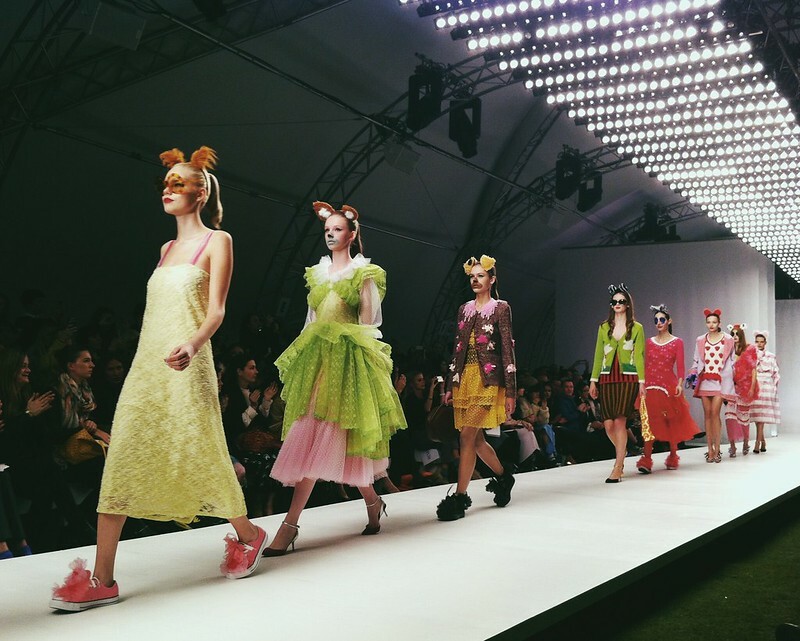 It is no surprise to find that Jonathan Saunders, House of Holland, Marios Schwab and Meadham Kirchhoff are among some of the notable alumni under the Fashion East programme. 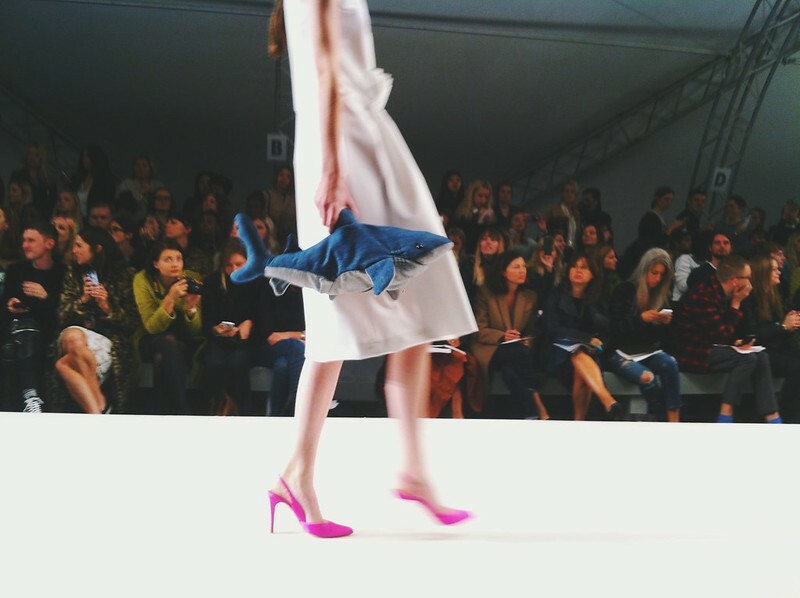 The show kicked off with Ryan Lo's girly, kitschy aesthetic. 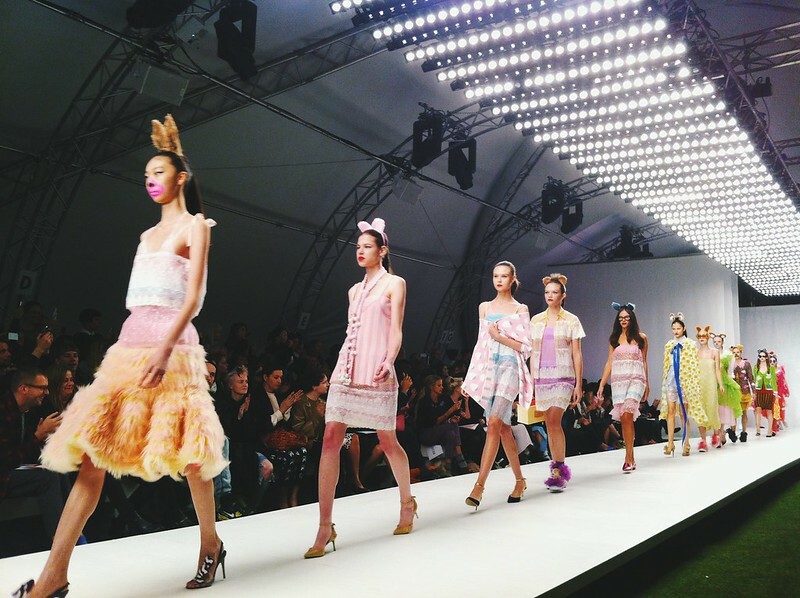 Models came out in frothy pink tulle and organza skirts, strawberry print shirts and lace dresses in shades of pastel, complete with super cute animal ears. I liked that the skirts were paired with Converse sneakers, which offset the extreme girliness of each outfit. My favourite is a daisy knit cape, which immediately brings me to the warm sun of summer and joyful abandonment. Another favourite is a pink candycane striped coat, with exaggerated volume. Ryan's maximalist sensibility is a significant departure from the usual runway creations, but at the same time really relevant for today's pop culture. I can totally visualize some of his knitwear pieces on Japanese and US pop stars. 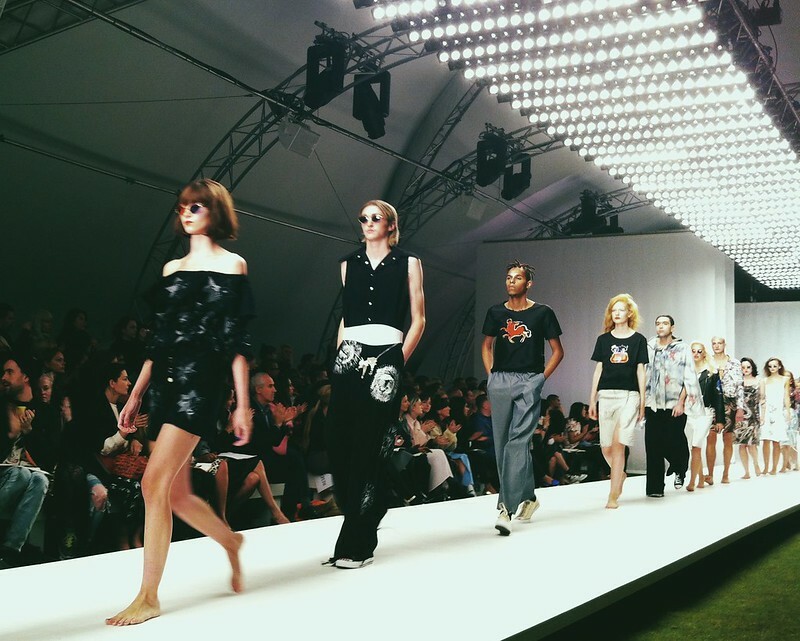 Second to show was Claire Barrow, whose collection in greys, blacks and white cotton drill was a stark contrast to Ryan Lo's. 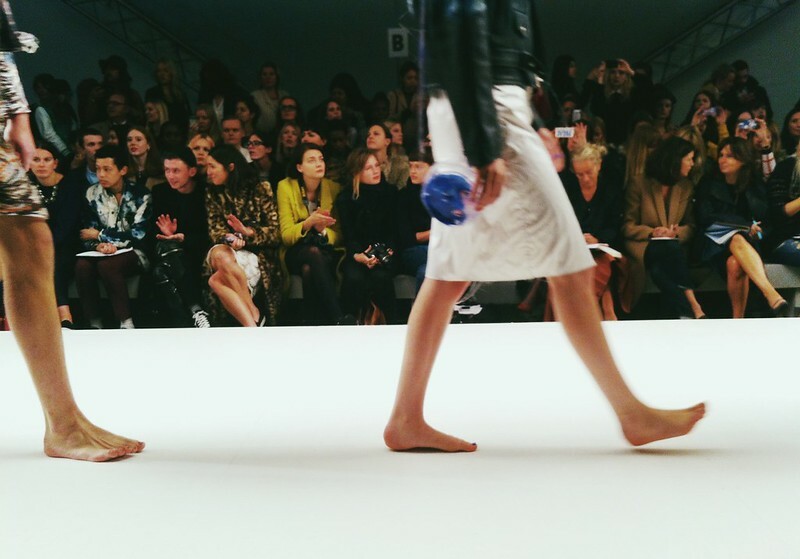 The models paraded down the runway barefoot and many of them were not professional models, but instead casted from the streets. I appreciated the raw, punk feel of Claire Barrow's show, with its unfinished hems, handpainted leather jackets and graffiti-like handpainted motifs. 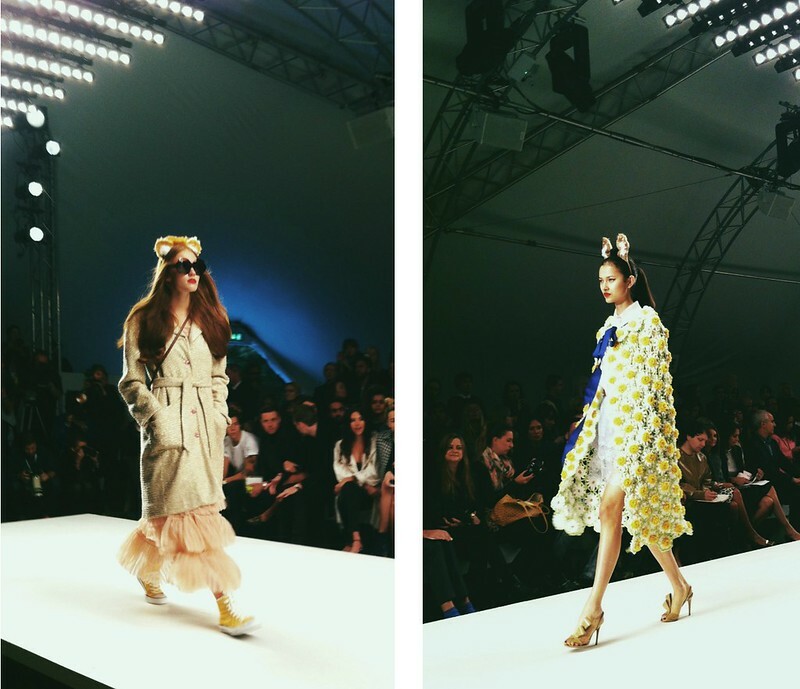 And finally, my favourite came from Ashley William, showing contemporary womenswear inspired by Miami Vice. The models looked like they have just came back from frolicking at the beach party the night before and were still soaking in the sun rays till the late afternoon. 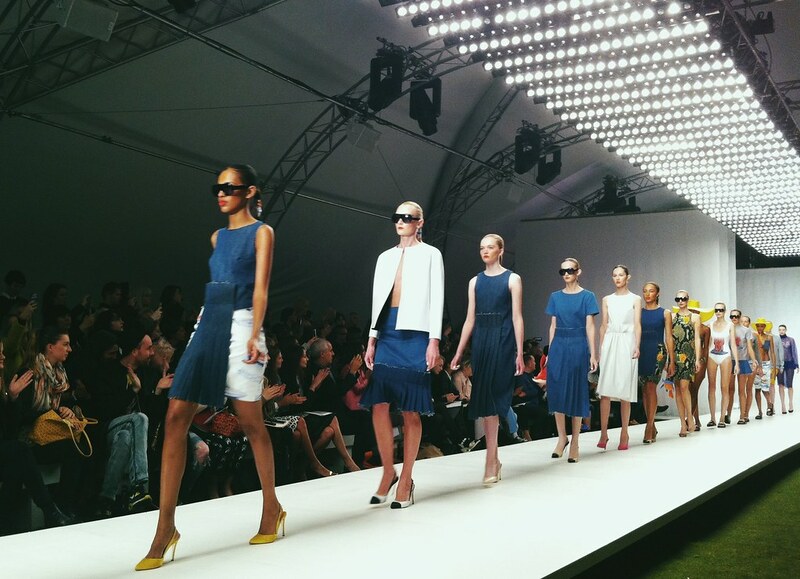 I especially liked how the show opened with a few denim dresses with pleated raw edge front panels, and then progressed to more tongue in chic references to the Miami beach - speedboat motifs, Dream Boat and SOS slogans printed on glossy silk jumpsuits and netted dresses. The models clutched bags in the shape of the Great White Shark and Hammersmiths - which I expect would be quite a hit when they drop next Spring. I like how even editors and stylists have taken a liking to "sillybags", and are pairing them with a minimal outfit, thanks for Charlotte Olympia and Kate Spade's recent collections. Popcorn bag, anyone? 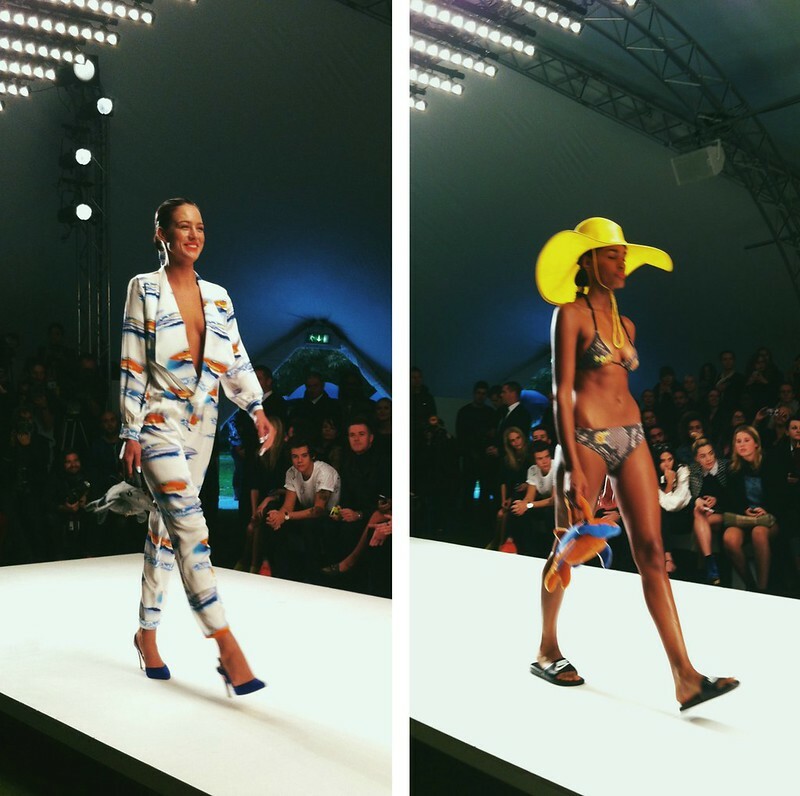 And finally, the appearance of Gary the Snail printed on bikinis and a halter neck mini dress injected much humour into the collection. Ah, finally a designer who doesn't take her work too seriously.